The Bleach manga has ended. Here, via 2ch, is the first volume compared with the final volume. 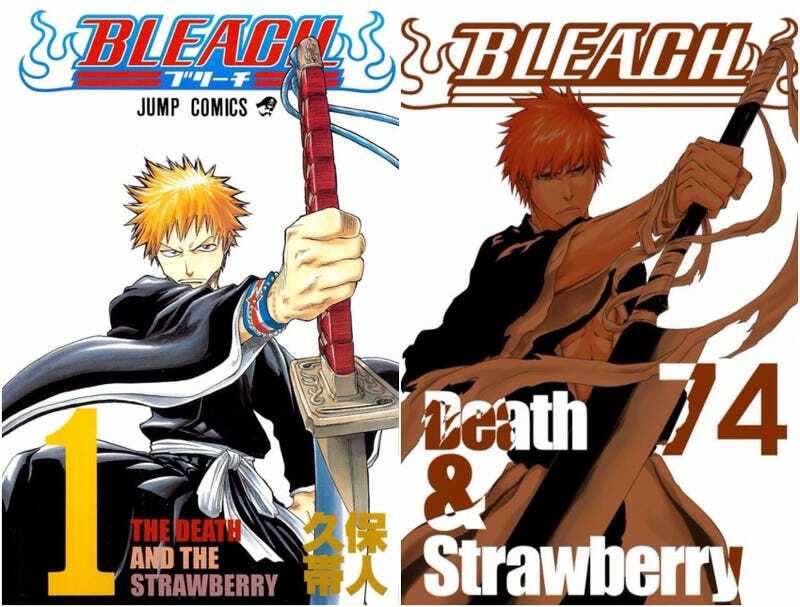 It’s no surprise that manga evolve over time, but it is a fascinating bookend for Tite Kubo’s Bleach style. 9/28/16 Update: The final volume is a fan rendition of what Volume 74 could look like and not Kubo’s work. We regret the error.